Today we head to Sandusky, Ohio for a visit to the world-famous Cedar Point! 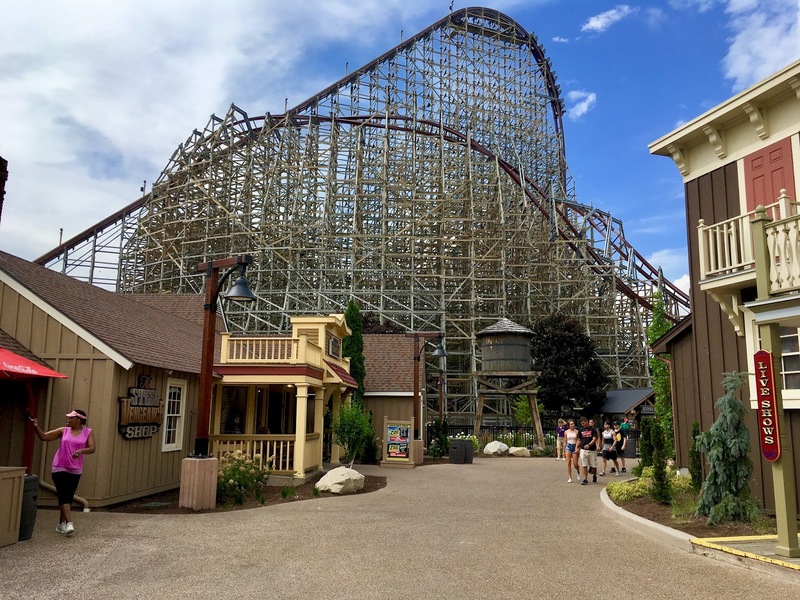 We check out what's new all around the park, along with a thorough review of the record-breaking Steel Vengeance hybrid coaster! 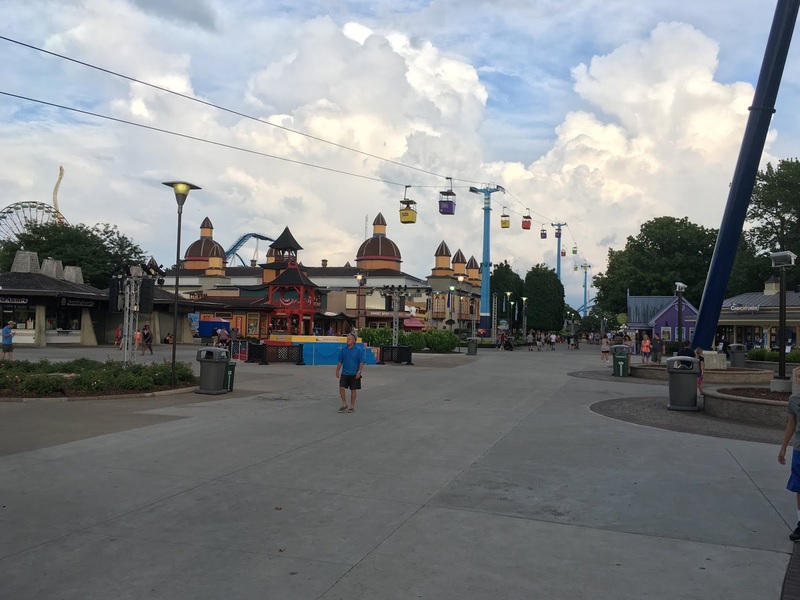 The forecast showed thunderstorms today, which likely contributed to the smaller crowds in the park. Luckily, a quick 10 minute rainstorm was the only precipitation for the day! 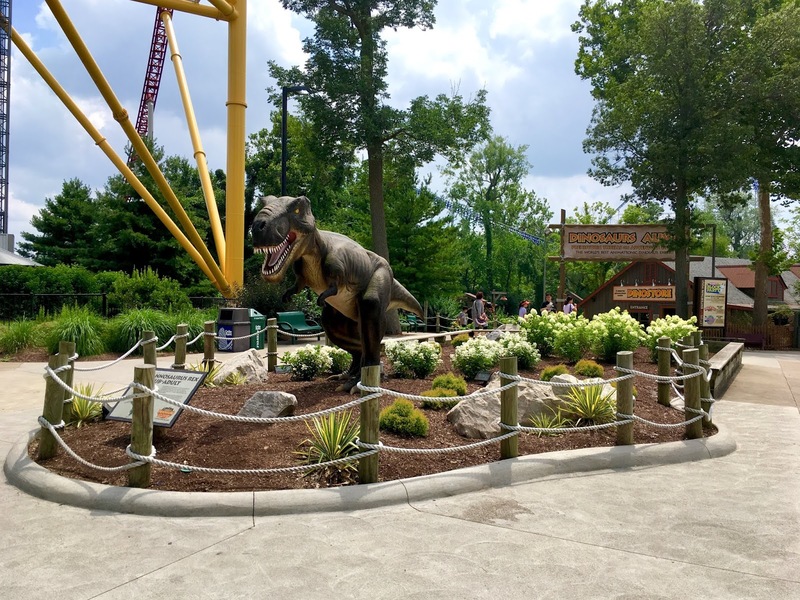 Towards the back of the park, the days are numbered for Dinosaurs Alive. This up-charge animatronic dinosaur walkthrough is expected to close towards the end of the season, and will free up some room for future expansion. Cedar Point has continued to promote its Augmented Reality mobile app "Battle for Cedar Point" throughout the park. 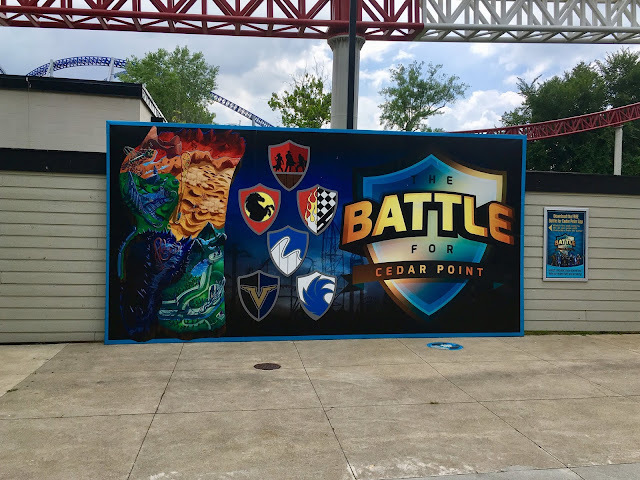 This unique game can be downloaded free of charge for Android and Apple users, and allows guests to "defend their alliance" by selecting their favorite coaster and battling opposing alliances (Other park guests). The app features trivia and Augmented Reality mini-games that are activated via in-park banners like this one. 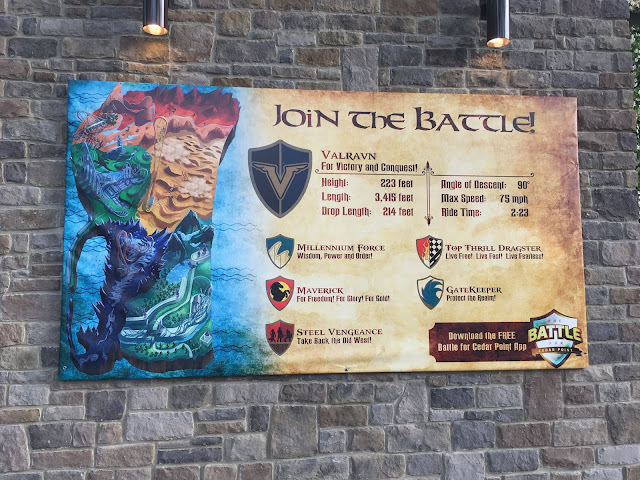 Guests can ultimately pass the time while in line by playing this interactive game. 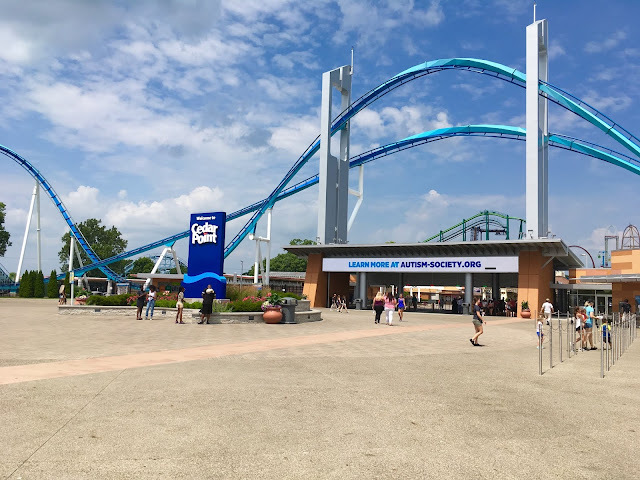 This is an impressive move for Cedar Point, and is likely the park's response to the various queue line entertainment found at other major competitors. 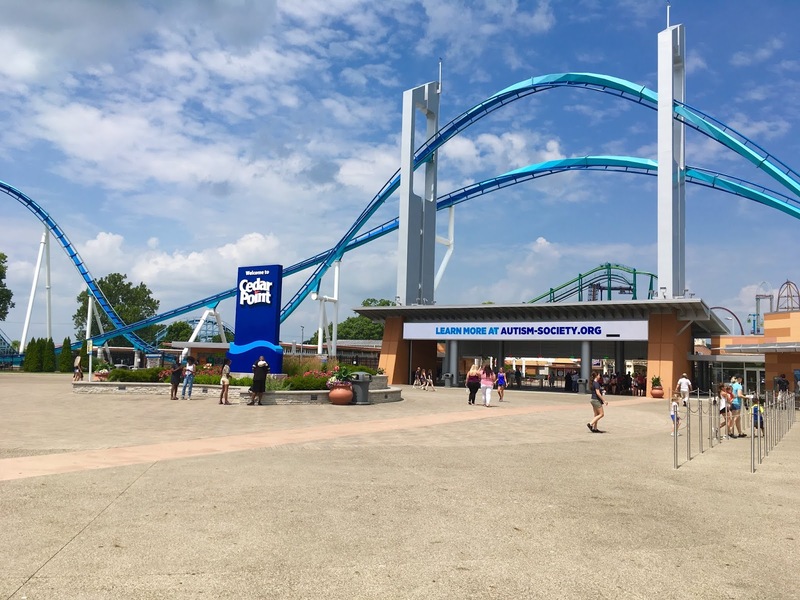 Unique programs like this will continue to strengthen Cedar Point's goal of being a nationwide vacation destination. 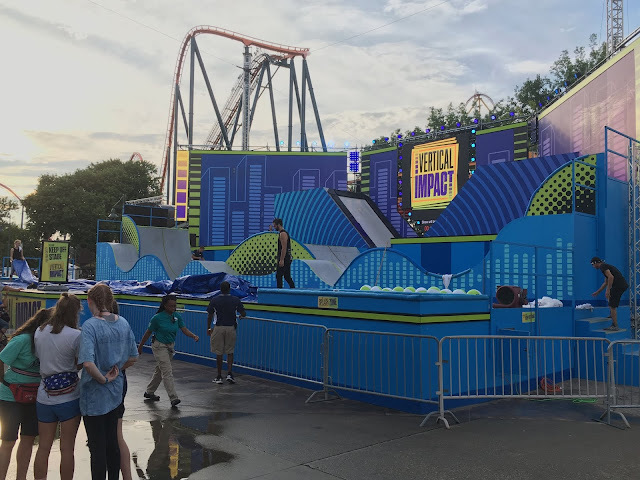 Also on the entertainment end, "Vertical Impact" is a new acrobatics and BMX-styled show that performs six days a week over in Celebration Plaza. 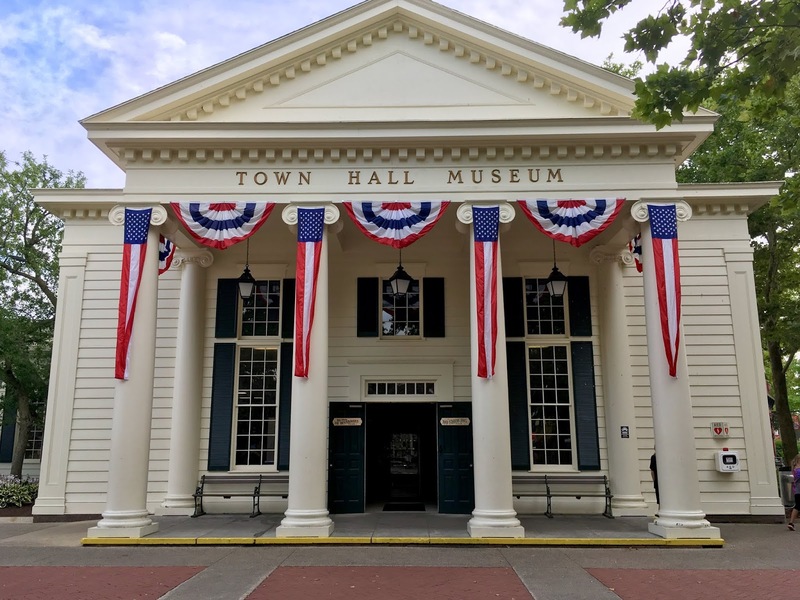 A little ways down the road, Frontier Town has a new headliner. 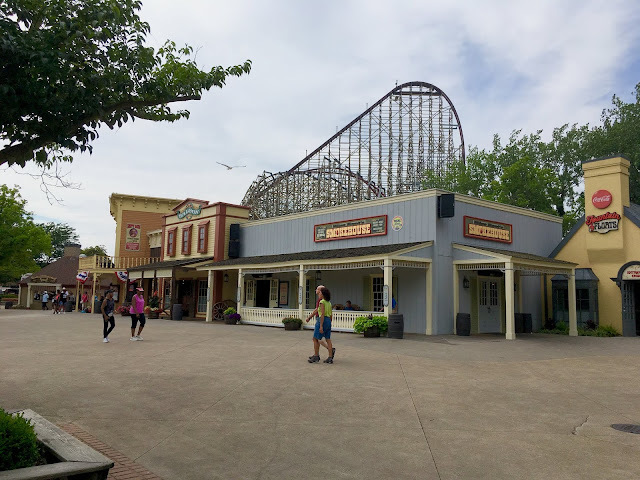 Nestled into a corner of the park is the new sheriff in town: Steel Vengeance. 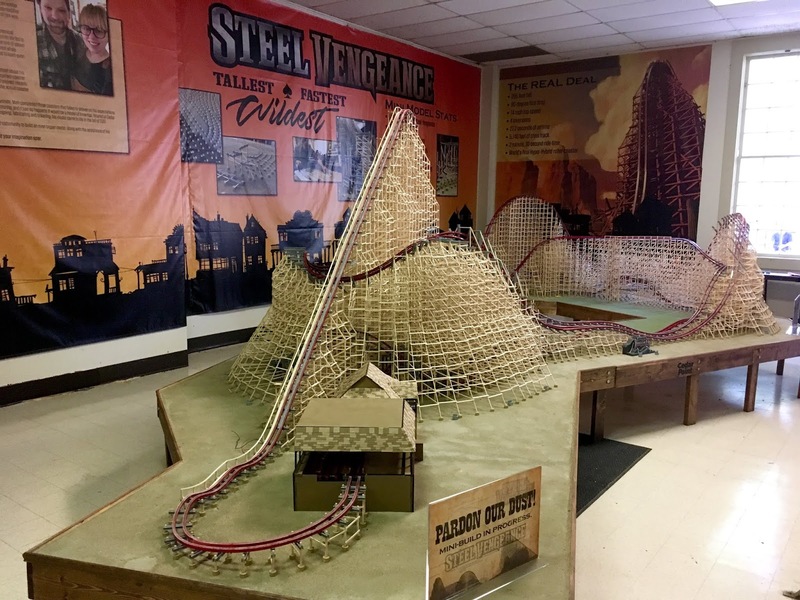 The ride's stats alone are something to marvel at: Standing at 205 feet and reaching a top speed of 74 mph, Steel Vengeance is the tallest and fastest wood-steel hybrid roller coaster in the world. It also features 27.2 seconds of airtime, which is more than any other roller coaster on Earth. The train itself is also a piece of art. While it could use a little more padding to protect against the ride's crazy elements, the overall train comfort is still moderate. This is my fifth Rocky Mountain Construction hybrid coaster (New Texas Giant, Iron Rattler, Joker, Twisted Colossus), and this behemoth unsurprisingly takes first place out of the bunch. 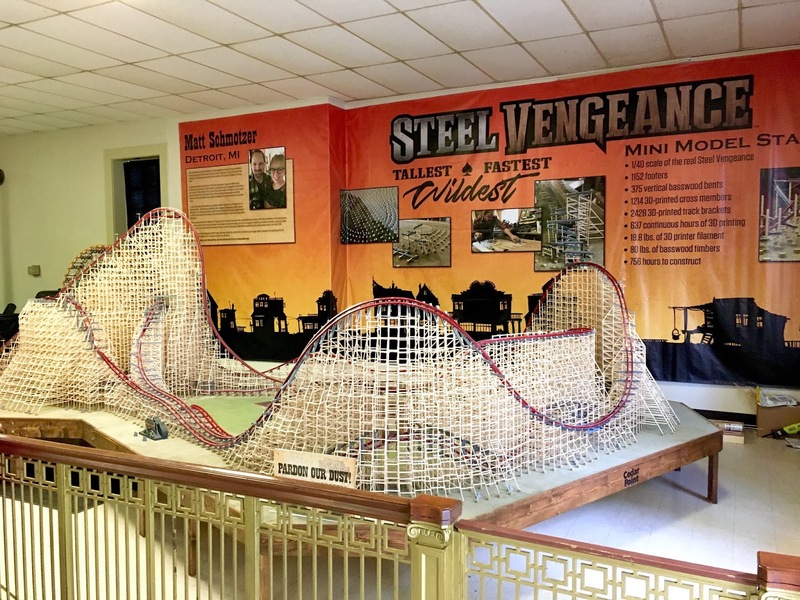 RMC definitely learned what the best elements were from its previous coasters, and compiled the highlights here in a steeper/faster/taller form. 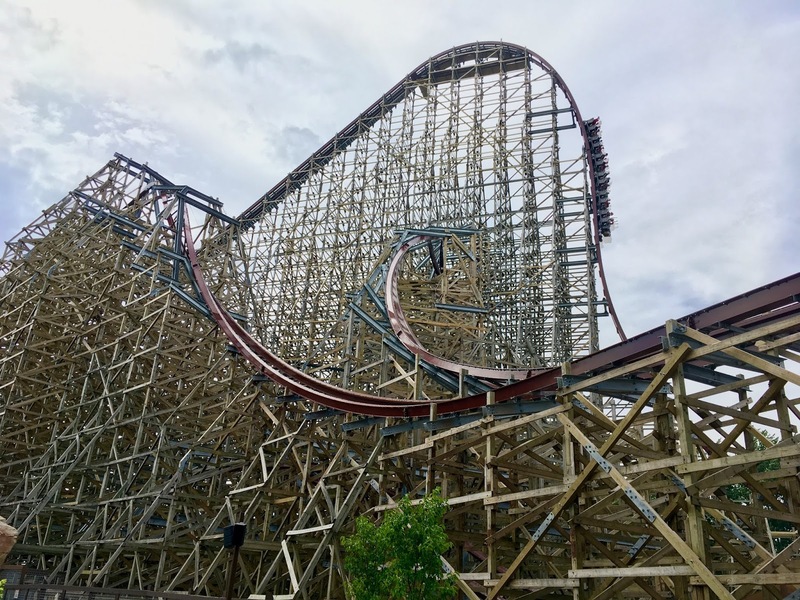 A unique feature that I experienced with this coaster is what I would describe as "Mega Fake Outs". All RMC coasters are twisty, and feature their fair share of unexpected turns. But, they went absolutely crazy on this one. 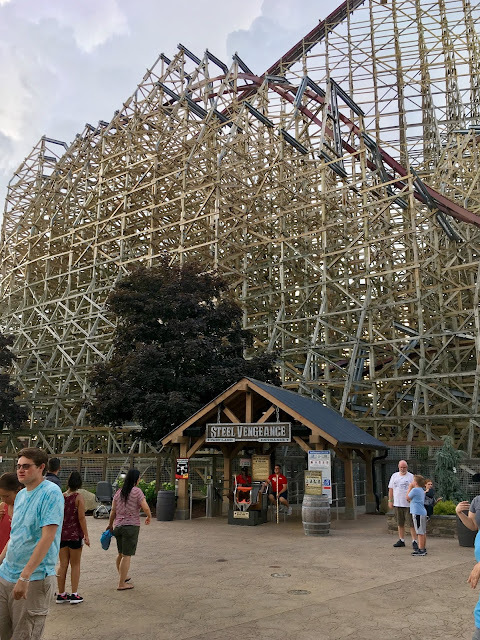 Some individual elements on Steel Vengeance will twist you side-to-side three different times within a two-second time span, and are incredibly disorienting and thrilling. 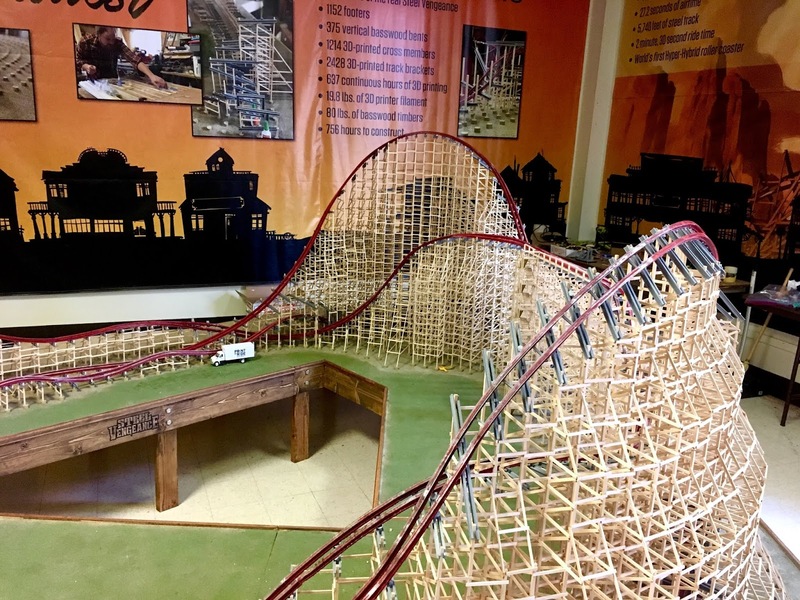 It's almost like the designers could not make up their mind about which direction they wanted the track to go in during some parts. This aspect, in addition to the slight increases in speed and height, creates a signature experience. Steel Vengeance still feels similar to its hybrid coaster siblings, which is expected and not necessarily a bad thing. 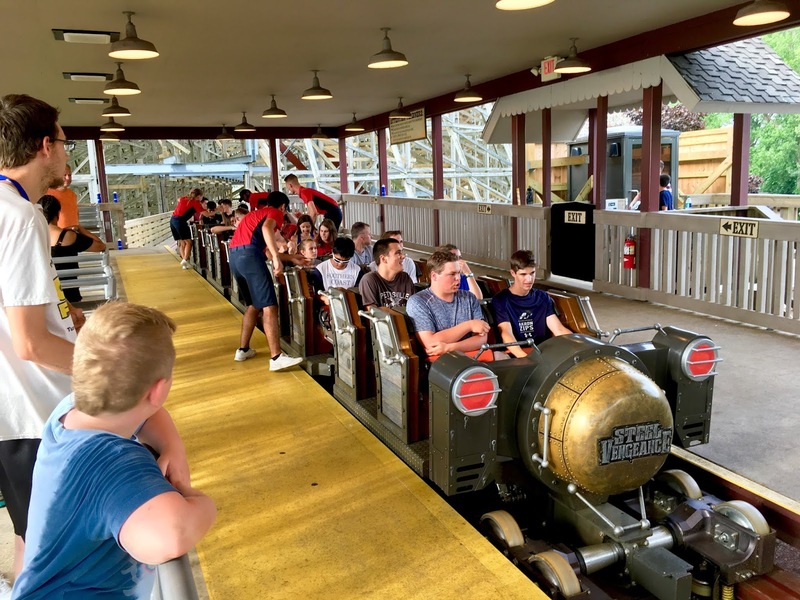 The ride's long length is ultimately what makes it special. Other hybrid coasters may have an inversion or two, but this workhorse has four. By the time you hit the third inversion in the second-half of the ride, you have already been through a lot. 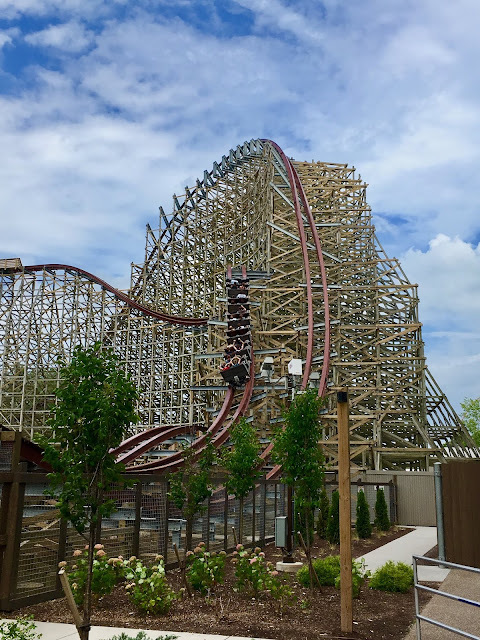 You have been twisting and flying out of your seat for some time now, and have survived the relentless pace that RMC coasters are famous for. Because of this, the second-half of the ride had a different sensation in my opinion. You know that you're currently riding an insane roller coaster at Cedar Point. You know that the ride is designed to whip you in all directions. Yet, there were times after the third inversion that I actually started to believe that the ride really was out of control. I had seemingly been twisting and banking in every possible direction before this point, and started to question which direction was up and which was down. 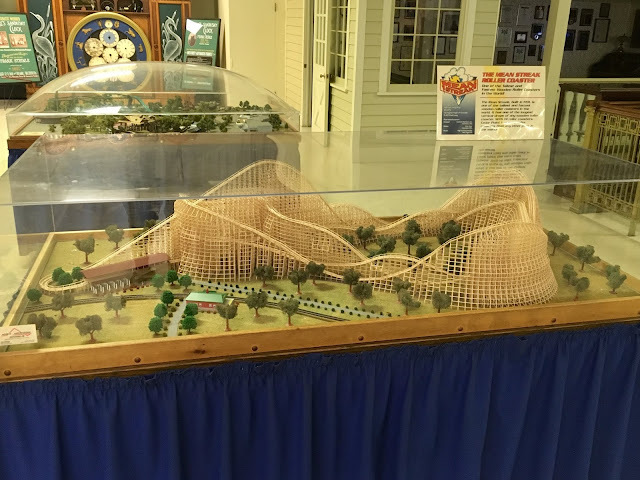 The enclosed, tunnel-like nature of the second-half of the ride probably contributed to this too, as this section primarily takes place inside the wooden structure. 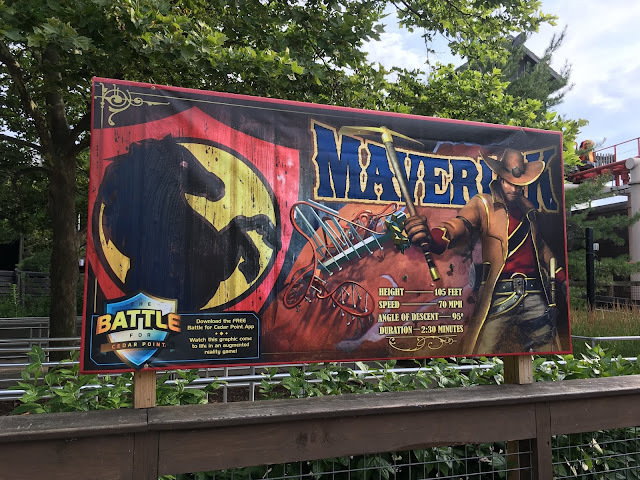 I have been on a lot of coasters, but I have never felt an experience quite like this. 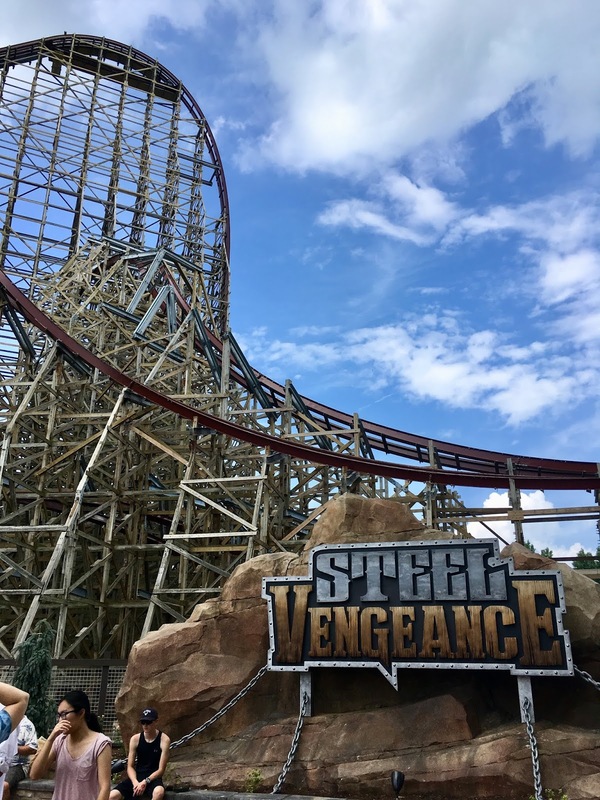 Steel Vengeance is undeniably a winner, and adds yet another world class coaster to Cedar Point's portfolio. The airtime is actually strongest in the front of the train, which is definitely the best place to ride. Right next door, the Frontier Town Emporium is loaded up with all things Steel Vengeance. 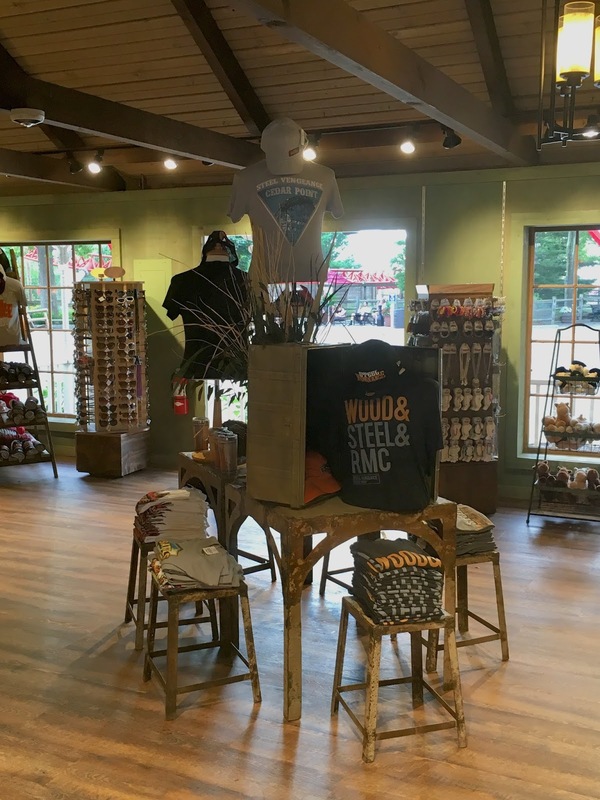 Some of the merchandise even references the ride's manufacturer RMC. 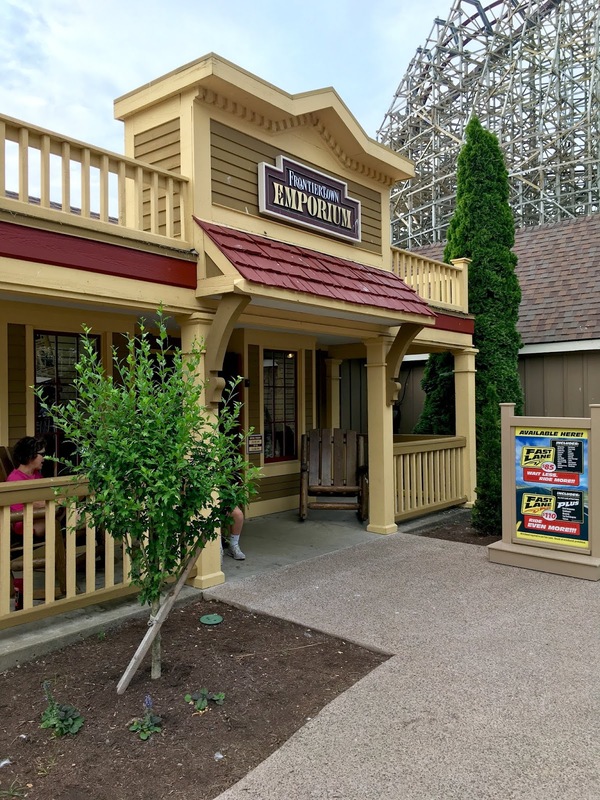 The gear will probably fare well with the more enthusiast-heavy Cedar Point population. 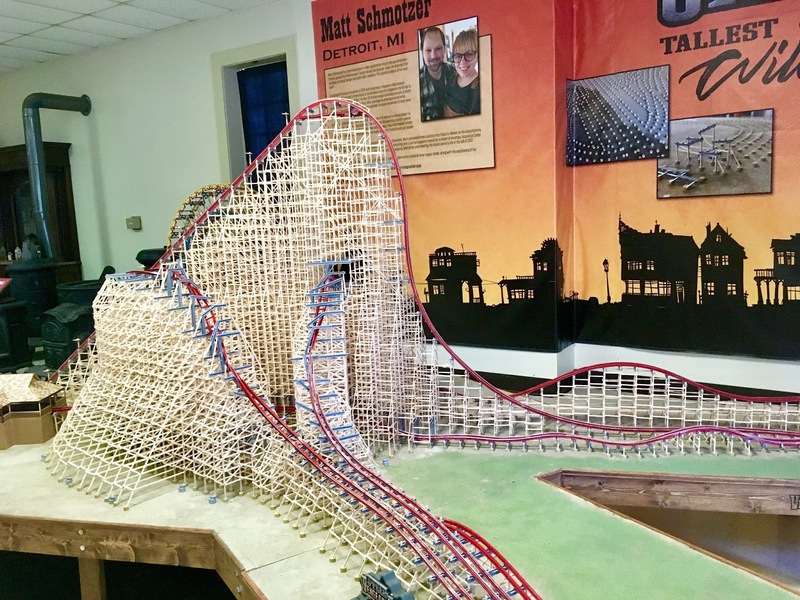 Want to capture the "smell" of Steel Vengeance? 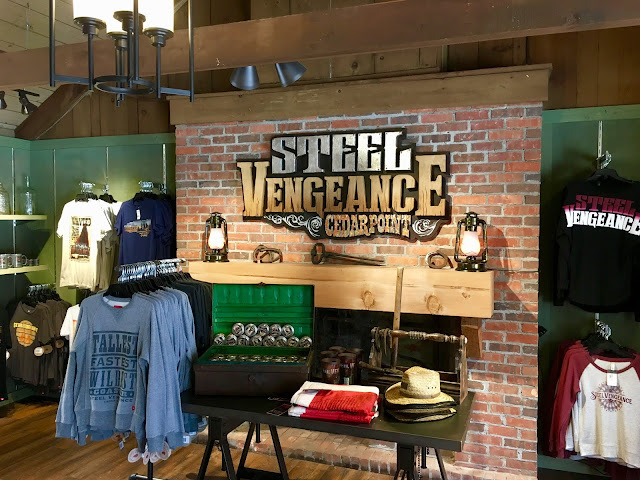 The park has you covered with its official Steel Vengeance candle! Overall, Steel Vengeance is the new anchor of Frontier Town that will be thrilling guests for years to come. ...A miniature model of Steel Vengeance! The detail is impeccable, and is definitely worth a quick look if you're visiting the park. A smaller model of the previous Mean Streak is also on display for those who never experienced the former attraction. 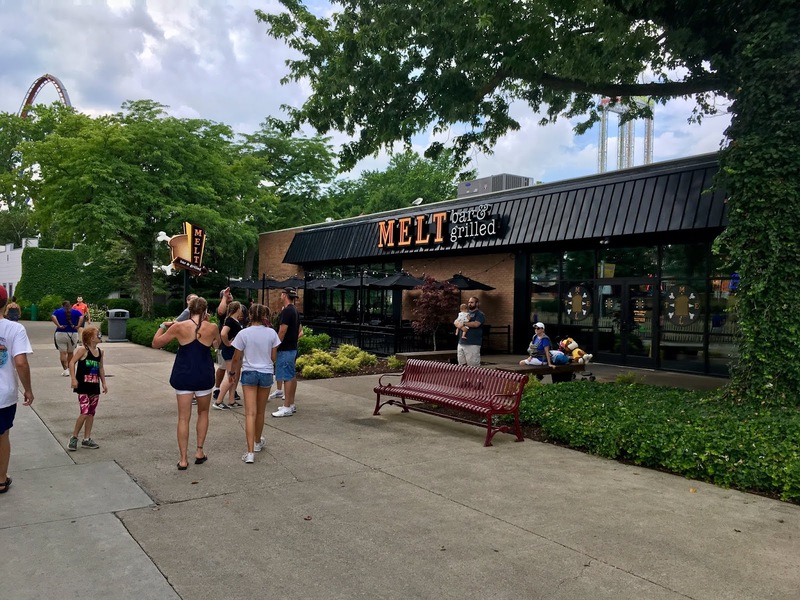 Elsewhere in the park, Melt bar and grilled maintained its popularity in its second season. 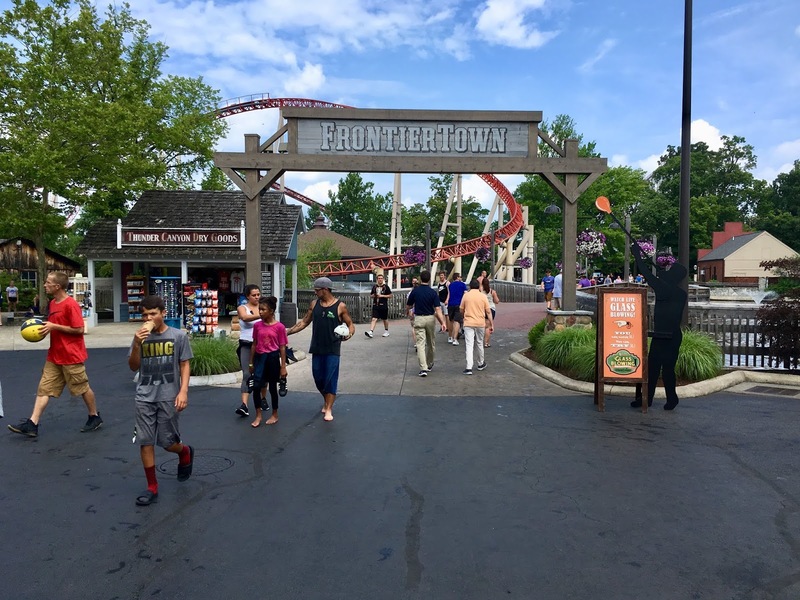 Cedar Point has taken cues from other major competitors and integrated outside companies into the park. As a result, there are more diverse food options for all taste buds to enjoy! 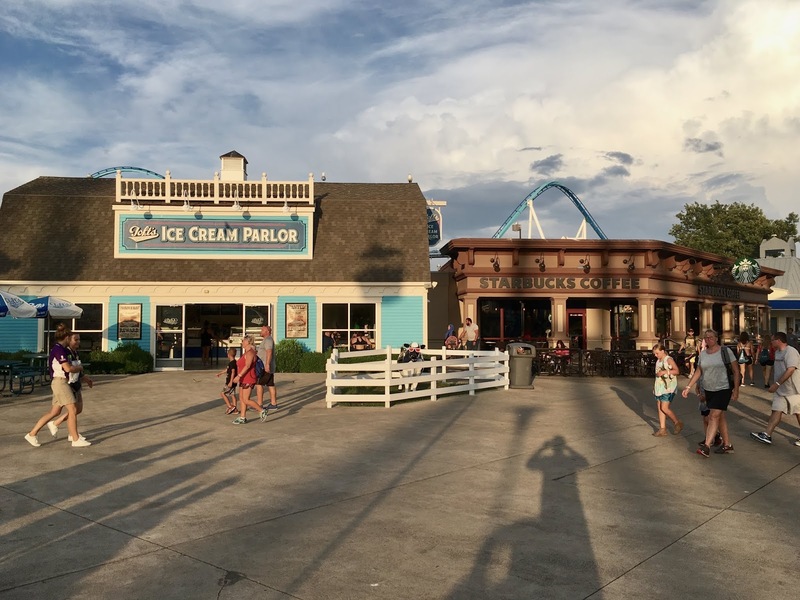 Thanks for the thrills Cedar Point...until next time!